Why replace? 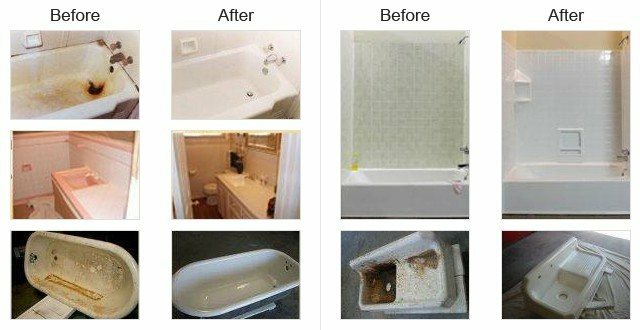 Refinish & SAVE 80% of tub replacement cost! <li >Mask areas around tub or shower to protect the area from overspray. Etch and sand the old surface to prepare the surface for its new finish. surface – this coating is 5 times stronger than automobile paint. Stripping of previous inferior resurfacing done by other companies is provided at an additional cost. All refinishes require a 48 hour cure time, when the tub cannot be used. At our shop in Mesa we prepare the surface of the tub or sink by sanding, etching or if necessary, sand blasting the surface to prepare it ready for its new finish. After a 48 hour curing period, the surface is buffed to achieve the best luster of the new surface. Using proper cleaning and care, the tub or sink with provide years of enjoyment and service! Todd’s will refinish laminate and tile countertops in your kitchen or bathroom with an acrylic polyurethane coating. Choose from a selection of colors and flex finishes. Click to view colors provided by Todd’s.